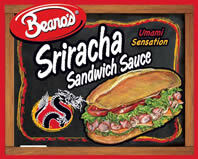 Add the heat of the Far East to all of your favorite sandwiches with Beano's Wasabi Sandwich Sauce. Beano's Wasabi Sandwich Sauce is made with real grated Japanese wasabi infused into a rich and creamy base that creates a one of a kind authentic Japanese wasabi sandwich sauce. 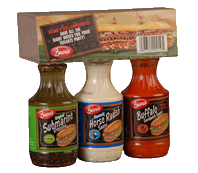 Great on crab cakes, roast beef or turkey club sandwiches. 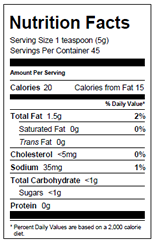 It also makes a great dipping sauce for sushi, grilled seafood and chicken wings.